As telcos launch the first of the 5G networks, 5G stocks will become a focus. The technology will change wireless. How much speed it will add has become a point of controversy. Estimates from a few years ago predicted that 5G would be 1,000 times as fast as 4G. More recent estimates peg the improvement at 10 to 20 times 4G LTE. Whatever happens after launch, consumers should see a quantum leap in speed and reliability. Such speeds will lead to capabilities not possible today. For this reason, it becomes difficult to know whether innovations will come from one of the large companies or from the mind of an unknown inventor working in his garage. Although the latest version of the iPhone did not offer 5G capabilities, Apple (NASDAQ:AAPL) will become one of the more prominent 5G stocks in future years. As one of the primary innovators in the wireless market, Apple will likely continue to enjoy a substantial presence in this industry. Warren Buffett has made Apple the largest holding in the Berkshire Hathaway (NYSE:BRK.A, NYSE:BRK.B) portfolio for a reason. AAPL stock trades at a forward price-to-earnings ratio of less than 14. Also, the stock shows a solid record on dividends. The current yield of 1.50% may not inspire investors. Still, the company has increased its dividend every year since it began paying dividends in 2012. If one keeps AAPL stock as a long-term holding, this dividend will probably become more important. Apple has not yet released a 5G iPhone. However, as soon as it enters the market, the iPhone will become a critical device for 5G service, and AAPL will become one of the more important 5G stocks. Its investors should benefit. AT&T (NYSE:T) will become only one of three companies (assuming T-Mobile (NASDAQ:TMUS) and Sprint (NYSE:S) merge) to offer 5G wireless service. This factor in itself makes AT&T one of the more important 5G stocks. Because of the tens of billions of dollars needed to build such a network, the company will probably not have to deal with additional competitors. The company has struggled recently. Cord-cutting in the pay-TV business, a highly competitive wireless industry and the costly 5G upgrade have weighed on the company. However, this offers a tremendous advantage to those who want to invest now. The recent struggles of the stock have taken its forward P/E to about 8.5. This comes to less than half of the five-year average P/E of about 18. Still, the biggest reason to invest lies in the dividend. Its $2.04 per share annual dividend comes to a yield of just over 6.45%, more than triple the S&P 500 average of 1.9%. Even better, the psychology that drives T stock insures this dividend will increase. The company has increased the dividend in each of the previous 34 years. For this reason, maintaining the price of T stock hinges heavily on these dividend increases. The increased revenues that will likely come from 5G will also ensure that the company can afford the dividend increases. With 5G beginning to become a revenue source, the company’s fortunes should improve. Moreover, a single-digit forward P/E and a generous dividend make AT&T one of the more attractive 5G stocks. Many will remember Cisco (NASDAQ:CSCO) as the company whose routers helped to provide internet service in the 1990s. Today, CSCO stock behaves more like an old-line industrial than a high-flying tech stock. However, the company still offers critical internet infrastructure. Its products along with the stock’s value and rising dividend should make CSCO one of the more compelling 5G stocks. Cisco employs what it calls a “Cloud-to-Client” approach to 5G. 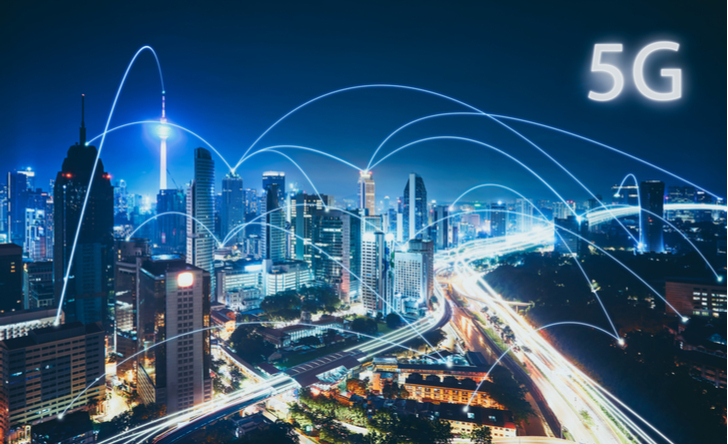 The company wants to transform networks end-to-end, making Cisco equipment a critical component in delivering 5G faster. This technology is designed to encompass every aspect of 5G into a seamless network, providing security and enhancing video optimization. In addition to 5G customers, Cisco also offers a compelling value proposition to new investors. Its stock trades at about 16.5 times forward earnings. Analysts expect about 5% revenue growth this year. Also, unlike the Cisco of the 1990s, this company also embraces dividends. Cisco paid its first dividend in 2011, and it has increased these payouts every year since. Today, CSCO stock pays a $1.40 per share annual dividend which yields about 2.5%. Hence, Cisco stock offers a reasonable P/E and an above-average dividend yield that will probably rise on a yearly basis. With 5G revenues funding its profits, CSCO stock should hold investors in good stead for years to come. As the PC business, which had sustained Intel (NASDAQ:INTC) for decades, began its decline, the changing marketplace forced INTC to seek new lines of business. As a result, Intel has embraced 5G by involving itself in the Internet of Things (IoT) and data centers. These two components should make Intel prominent among 5G stocks. Client computing still makes up Intel’s largest revenue source. However, data center revenue grew 21% in 2018, compared with only 9% for client computing. The company warned data center growth might slow. Still, its high growth places data center revenue on track to become Intel’s largest revenue source within a few years. By most accounts, INTC stock has become a bargain. If the consensus earnings forecast holds, Intel trades at a forward P/E of 11.8, well below the five-year average P/E of 15.75. Also, the company has paid dividends since 2000. It has increased them in most of the years since, and every year since 2014. Today, this 5G stock maintains a $1.26 per share annual dividend that yields around 2.3%.With a low valuation and a new company identity defined around 5G, I see Intel becoming a popular choice among the other 5G stocks to buy. Many remember Nokia (NYSE:NOK) as a one-time leader in cell phones before the smartphone pushed its phones aside. As a result, the company redefined itself over the last few years. Although it finally developed its own smartphone, NOK has taken its place among 5G stocks mostly as an equipment provider, furnishing wireless carriers with the hardware necessary to provide 5G services to their customers. In July, Nokia signed a $3.5 billion multi-year agreement with T-Mobile. Under the terms of this deal, Nokia will provide T-Mobile with end-to-end 5G technology, which includes software and services, along with Nokia’s hardware. So far, this stands as Nokia’s largest 5G deal. I think this will lead to more 5G deals in other countries, bolstering NOK stock. Best of all, I do not think Wall Street yet appreciates the fact that Nokia has redefined itself. Although NOK lost a small amount of money in 2018, the stock looks poised to return to a path of earnings growth in the future. NOK currently trades at about 13 times its estimated 2019 earnings. The company will also pay stockholders well to wait for some appreciation. The company’s 24 cents per share annual dividend comes to a yield of about 4%. While this dividend has fluctuated over the years, sustained profit growth makes it more likely the dividend will rise than fall. NOK stock also trades more than 80% below its 2007 high. If it gains more prestige among 5G stocks, I think it could return to its old highs within a few years, or perhaps beyond. Article printed from InvestorPlace Media, https://investorplace.com/2019/04/5-5g-stocks-to-buy-that-will-stream-higher-profits-for-investors/.